The HIV hub stores biological material from patients which are grouped into 7 prospective longitudinal cohorts of HIV-patients with defined characteristics. Rapid progressors cohort Includes patients whose CD4+ T-cell levels have fallen below 350 lymphocytes or patients who are diagnosed with AIDS before the end of the third year after their documented seroconversion date (and beyond the first 3 months) and with a window of fewer than 2 years between the last negative and first positive test, always in the absence of ART. Long Term Non-Progressors cohort (LTNP-RIS) includes patients who have had > 500/μL CD4+ T-cell count and <10,000 HIV-RNA copies/ml viral load for over 10 years, in the absence of ART. HIV Controller cohort (EC-RIS) ART-naive patients who have been HIV+ for more than 12 months with at least two viral load determinations during such period. Elite controllers: <50 HIV-RNA copies/ml Viral controllers: individuals within this range: >50 – <2000 copies/ml. 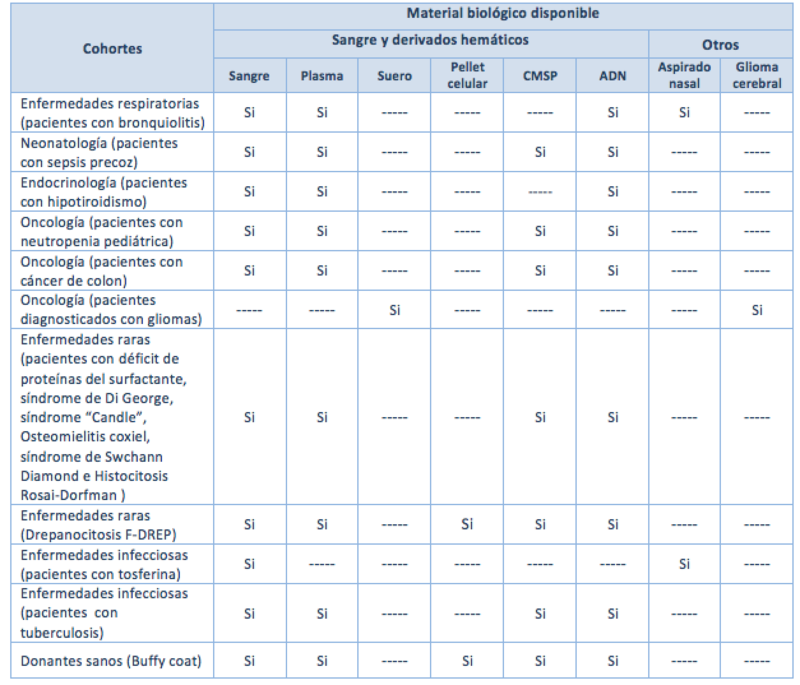 This table shows the biological material available for each of the cohorts described in the previous section.